A schoolboy did not receive the right education for more than a year because of council delays in putting into place a support package for his needs. 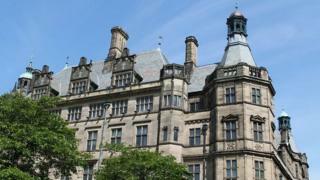 Sheffield City Council was late in completing a plan and resolving issues with his school about funding, an investigation found. It meant the boy limited the GCSEs he took based on what he thought he could achieve without the right support. The council has apologised and said it was making changes. The investigation, by the Local Government and Social Care Ombudsman Michael King, uncovered a number of other young people in Sheffield who had experienced similar delays. Mr King said: "Long delays are an overriding feature of the complaints we investigate about councils providing special educational needs support. "And as this case shows, it can potentially leave children failing to reach their full potential." The investigation found the council was six months late in putting into place the boy's support plan. His provision was further delayed by a year because they did not resolve a disagreement about funding with his school. Councillor Jackie Drayton said more staff had been appointed to meet demand, adding: "We will learn from this case and continue to review our practice."